For the past two years I have counted down the top 30 (2013) and top 25 (2014) players on the WTA and LPGA money lists as my year-end wrap-up. This year I am reducing the list to the top 15. However, I am adding the LPGA of Japan (JLPGA) to the countdown. For the WTA, singles, doubles and mixed doubles are added to the total money earnings. For the JLPGA, I will approximate the US Dollar totals based on the day I look up the exchange rate. Here are the #8 players for 2015: Lucie Safarova (WTA), Erika Kikuchi (JLPGA) and So Yeon Ryu (LPGA). It was a career year for Lucie Safarova. She reached her first singles Major final at Roland Garros. She teamed with Bethanie Mattek-Sands to win 4 events, including 2 Majors (Australian Open, Roland Garros). Lucie achieved her highest ranking ever in both singles and doubles. But it could have been even better. After reaching the final of the Connecticut Open, she suffered an abdominal tear in the championship match against Petra Kvitova and ended up acquiring a bacterial infection that hospitalized her for a week and took months from which to recover. She was ill in her first round at the US Open and never really returned to full strength, even though she returned to the tour in time for the WTA Finals and Fed Cup. I hope Lucie has another career year in 2016, but this time gets the opportunity to finish what she started. 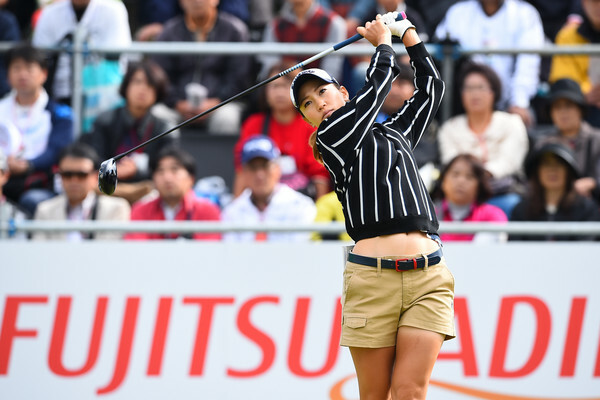 Speaking of career years, the JLPGA’s Erika Kikuchi had her best year ever on tour. She was simply on target for most of the year, with 14 top 10s and 3 runners-up finishes. She was top 10 on the money list, scoring list and putting. Her prize money and scoring average were both professional bests. The highlight of her sensational season was a wire to wire victory at the KKT Cup Vantelin Ladies Open. On tour since 2008, it was Erika’s first career JLPGA victory. It’s tough to predict how much higher she can go from here. The very top the JLPGA is extremely tough to crack. I’d like to see 27-year old Kikuchi make a run for the top 5, but in the end we’ll see. All I know is this year she had a victory with 3 runners-up. What if she had won 2 of those 3 bridesmaid finishes? She might have been top 5 this year. Sometimes I hate the way it sounds when I say a player could have or should have done something, or underachieved on this list. A player wouldn’t even make the top 15 money list standings on this countdown if they weren’t among the handful of the world’s best. So keep in mind that I am judging by a player’s own incredibly high standard. That goes for the amazingly talented So Yeon Ryu. I think she is one of the most special players in the world. That’s evident not only by her success on the LPGA but the fact that she won on the KLPGA and LET tour in 2015. But while she had 10 top 10s in 2015 on the LPGA tour, she didn’t take a title. She has 3 career LPGA victories. I truly believe she has the talent to win 3 titles in a year. Of her 10 top 10s, 9 of them were top 5s. She puts herself in the mix so often. For the past few years, I’ve started the WTA season saying it would be the year ultra-talented Petra Kvitova breaks through to the top of the tour. Well, let me start a trend for the LPGA by saying 2016 will be the year ultra-talented So Yeon Ryu breaks through straight to the top of the tour. For the past two years I have counted down the top 30 (2013) and top 25 (2014) players on the WTA and LPGA money lists as my year-end wrap-up. This year I am reducing the list to the top 15. However, I am adding the LPGA of Japan (JLPGA) to the countdown. For the WTA, singles, doubles and mixed doubles are added to the total money earnings. For the JLPGA, I will approximate the US Dollar totals based on the day I look up the exchange rate. Here are the #7 players for 2015: Petra Kvitova (WTA), Momoko Ueda (JLPGA) and Cristie Kerr (LPGA). It seems like every time I talk about Petra Kvitova I have to mention how I feel she is the most talented player on tour, the true heir to Serena’s throne. And of Serena’s 3 losses this year, the match against Petra was the one that I feel was most caused by the opponent. No offense to Belinda Bencic or Roberta Vinci, but Williams gave both of them a bit of help in beating her. Kvitova went out at Madrid and took the match from Serena, no gifts necessary. But with Petra’s allergies and mononucleosis, her practice time and energy comes and goes. And from a technical aspect, she could work a little more spin into her shots so she had greater margins of error with which to work. For now, I’m not going to back off the prediction that Petra is the next dominant player on tour, especially coming off a 3 tournament win (Sydney, Madrid, New Haven) season, a runner-up at the WTA Finals and a Fed Cup title, but at 25 this is the time she should be going into her prime. Whether Serena or Maria Sharapova play several more years or not, it’s time for Petra to assert herself and consistently become the player that she shows when she’s at Wimbledon winning titles. I could be wrong about this…as I often am…but save for the 2007 season when she won 5 times and led the JLPGA money list and POY, 2015 was Momoko’s most consistently good year on tour. I say that knowing she won twice last year and in 2008. But 16 top 10s this year was very impressive, especially her 10 top 10s in her first 13 events. One of the best putters on the JLPGA, she rode that to prize money and scoring totals bested only by her otherworldly 2007 campaign. Of her 3 runner-up finishes this season, 2 were at Majors, the Salonpas Cup and the Konica Minolta Cup. She also was the captain of Team Japan as they won the inaugural Queens golf tournament pitting Japan, South Korea, Europe and Australia against one another. All of this reinforces my wish that Momoko would come back to the LPGA tour. At 31 now, it’s probably not in the cards. It’s just that when I see her playing so well I get that “Shane, come back!” feeling. Unfortunately, it seems for the remainder of her career, save for a few Major appearances in the States, I will have to admire Ueda’s play from half a world away. 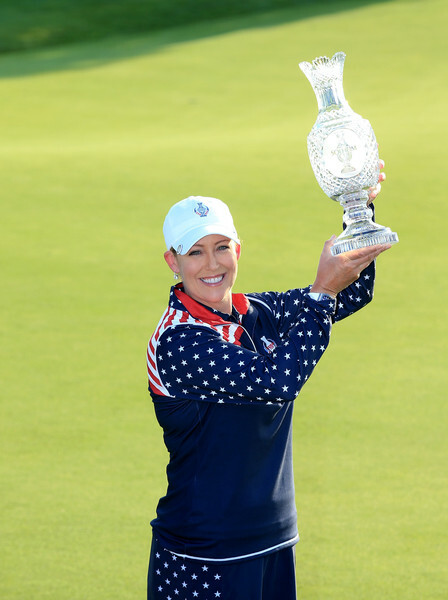 What can one say about the enduring brilliance of Cristie Kerr? On a tour inundated with precocious neophytes, the veteran Kerr showed why she is closing in on 20 LPGA tour victories. 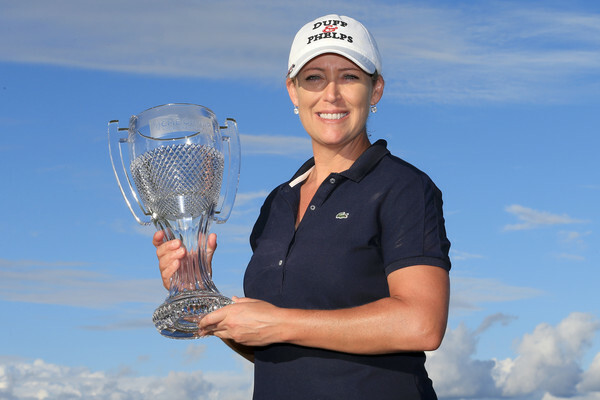 She notched titles 17 and 18 this year, including the CME Group Tour Championship. It was her first multiple win season since 2010 and first time back in the year end top 10 on the money list since 2011. She also tied for 2nd at the North Texas Shootout. Let’s also not forget what a force she is for the USA Solheim Cup team both on and off the course. Cristie’s 3-0-1 performance in Germany earned Team USA 3.5 points, matched only by teammate Gerina Piller and Europe’s Melissa Reid. As I often mention with Morgan Pressel, Kerr’s efforts with her foundation to fight breast cancer makes her a champion regardless of what happens on the course. For the past two years I have counted down the top 30 (2013) and top 25 (2014) players on the WTA and LPGA money lists as my year-end wrap-up. This year I am reducing the list to the top 15. However, I am adding the LPGA of Japan (JLPGA) to the countdown. For the WTA, singles, doubles and mixed doubles are added to the total money earnings. For the JLPGA, I will approximate the US Dollar totals based on the day I look up the exchange rate. Here are the #6 players for 2015: Maria Sharapova (WTA), Ayaka Watanabe (JLPGA) and Amy Yang (LPGA). What worries me the most about Maria Sharapova is the reoccurance of injuries that have derailed several of her recent years. The career Grand Slam winner will turn 29 in 2016. For all of the glitz and glamour that surrounds her, she seems to have a real passion for and dedication to her tennis. I’d hate to see her lose any more playing time when she is getting closer to the end of her stellar career. 2015 had so much promise. When she could play, she played very well. Masha won titles in Brisbane and Rome. 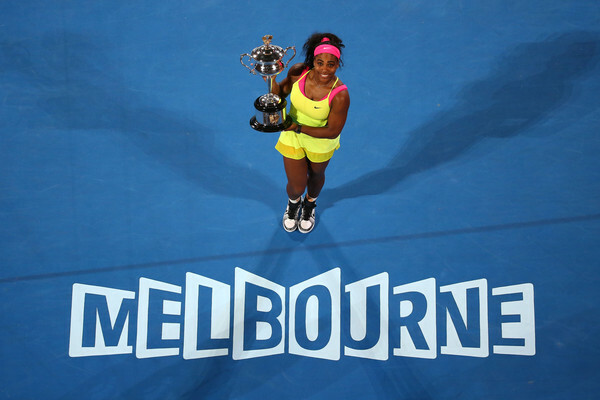 She was the runner-up at the Australian Open and reached the semifinals at Wimbledon. But injuries after Wimbledon meant she didn’t play a completed match again until the WTA Finals at the end of October. Once healthy, she performed well again, reaching the semis. She ended her year winning both of her singles rubbers at the Fed Cup final, including against the ace of the champion Czech Republic squad, Petra Kvitova. Masha has nothing to prove in her career. She is one of the best players in tennis history. I just hope that as her career winds down she will have healthy full years to build on what will be her already impressive Hall of Fame achievements. 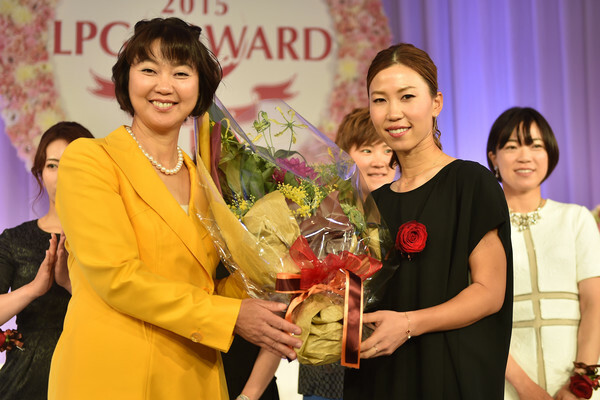 Ayaka Watanabe has improved each year she’s been on the JLPGA. Her place on the money list has risen while her scoring average has fallen, both good things in golf. Over the past three years the 22-year old Ayaka has risen from 46th to 11th to this year 6th in prize money earned. She also recorded her first multiple win season, taking titles at Hisako Higuchi and Yamaha. Early on, it didn’t look promising for Watanabe as she missed the cut in her first 3 events. But from then on, she was sensational. In addition to her 2 wins, she finished runner-up twice and had 17 top 10s. If there is one player on the JLPGA to keep an eye on in 2016 other than the obvious players at the very top, I’d say it’s Ayaka. If she keeps up her trend of improving each year, she could have a year in 2016 that challenges for the best on tour. 2015 was the type of season for Amy Yang that many close watchers of the LPGA imagined she was capable of producing, although I’m not sure even her most ardent supporters saw 9 birdies in a row on the back 9 at HanaBank. She set personal bests in prizemoney, scoring (70.51) and top 10s (10). She won the Honda LPGA Thailand while finishing second at both the ISPS Handa Women’s Australian Open and the US Women’s Open. It’s that USWO finish that particularly stands out for me. If there is one event that I would predict she would win, it’s the biggest tournament in women’s golf. Amy has been top 10 in 5 of the last 6 USWOs, top 5 in 4 of the last 5 USWOs and runner-up in 2 of the last 4 including this year. Just like for years in tennis people thought Goran Ivanisevic, for all the times he fell short, was just made to win Wimbledon…which he eventually did…I feel that Amy is made to win the US Women’s Open. Trust me. Eventually, she will. For the past two years I have counted down the top 30 (2013) and top 25 (2014) players on the WTA and LPGA money lists as my year-end wrap-up. This year I am reducing the list to the top 15. However, I am adding the LPGA of Japan (JLPGA) to the countdown. 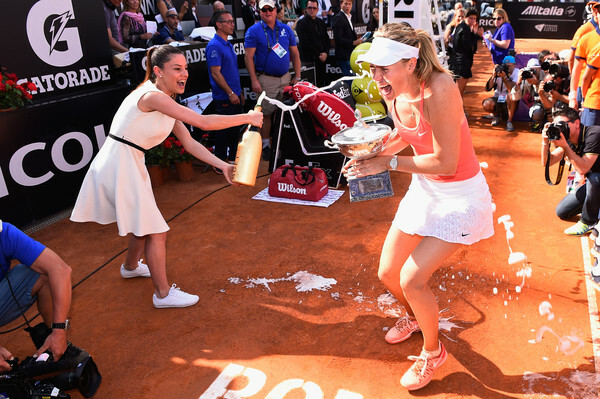 For the WTA, singles, doubles and mixed doubles are added to the total money earnings. For the JLPGA, I will approximate the US Dollar totals based on the day I look up the exchange rate. Here are the #5 players for 2015: Flavia Pennetta (WTA), Ji-Hee Lee (JLPGA) and Lexi Thompson (LPGA). If you’re going to retire from the game, what a way to go out. Flavia Pennetta dropped the mic on her WTA career by winning her first Major in singles, the US Open. Yes, she did play a few tournaments after that, but symbolically I will always think of her as winning in Flushing Meadows and announcing to the crowd that she was retiring. Anybody other than Serena Williams winning the US Open this year was a surprise. However, if there was one Major that Flavia might win it would be on the hard courts of the Billie Jean King National Tennis Center. While Pennetta had reached only 1 singles QF in all of the other Majors combined, she went into her final Major having reached the US Open quarters 5 times, including 1 semifinal berth. Not only did she add a 6th quarterfinal appearance and 2nd semifinal appearance this year, she won the first all-Italian final in a Major over her friend, Roberta Vinci. Best wishes to Flavia and her fiance Fabio Fognini. It was a resurgent season for Ji-Hee Lee in 2015. The South Korean star is one of the greatest players in JLPGA history with 19 victories, including the 2008 Japan Women’s Open. However, coming into this year she hadn’t won since 2012. She took care of that early when she won the Yokohama Tire event in her second tournament. She would go on to win the Nobuta Group Masters towards the end of the season. Along the way Ji-Hee posted her best year on the money list since 2011, when she finished 2nd. The 36-year old Lee has finished 2nd in prize money 3 times in her brilliant career. Her success has her 3rd on the all-time JLPGA money list. Comparing Ji-Hee to Flavia, it’s great in golf to be able to watch Ji-Hee continue to play into her late 30s and maybe even her 40s, if she desires whereas at 33, I’d like to see Flavia play on but the toll the pro tennis tour takes on the body…33 is old age in tennis, particularly singles. You can get away with playing longer as a doubles specialist. But other than just wanting to retire and start a new phase of life, if somebody like Ji-Hee is playing well at 36…why not keep on going? From two players at or nearer to the end of their careers, I shift to Lexi Thompson. She’s been in the women’s golf consciousness so long that it seems weird to think that she’s only 20 years old. Despite her youth, she recorded her 2nd multi-win season on the LPGA in 2015, taking the Meijer LPGA Classic and HanaBank. Lexi was also runner-up at the Evian Championship, one of three Majors where she finished top 10. Overall, she had 13 top 10s this year. She didn’t win a Major this year as she did in 2014, but it can reasonably be said that 2015 was her finest season to date. Thompson had her best result in prize money (5th) and, by far, in scoring average (finishing 4th overall at 70.01). 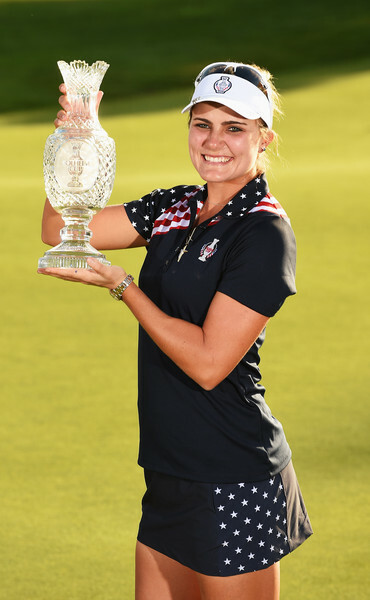 Because I try to keep these recaps short and sweet, I haven’t even talked about her being a part of the winning Solheim Cup team or the memorable shots she has hit this year like the hole in one at HSBC. 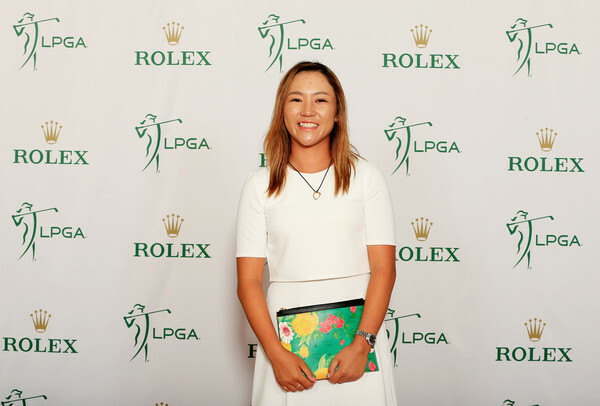 Although Lydia Ko and Inbee Park look like they are in a league by themselves (although Stacy Lewis might argue about that), lookout if Lexi is beginning to put it all together. If she is still improving, which her performance in 2015 suggests she is, she might be the rival for Ko over the next decade. For the past two years I have counted down the top 30 (2013) and top 25 (2014) players on the WTA and LPGA money lists as my year-end wrap-up. This year I am reducing the list to the top 15. However, I am adding the LPGA of Japan (JLPGA) to the countdown. For the WTA, singles, doubles and mixed doubles are added to the total money earnings. For the JLPGA, I will approximate the US Dollar totals based on the day I look up the exchange rate. Here are the #4 players for 2015: Agnieszka Radwanska (WTA), Sun-Ju Ahn (JLPGA) and Sei-Young Kim (LPGA). Before 2015 started, there was a buzz about Agnieszka Radwanska bringing aboard Martina Navratilova as a coach. But the results weren’t there and the partnership dissolved. Of course, Martina is one of the players in the conversation as the best ever. However, sometimes that doesn’t always mean there will be magic in the mix coaching a specific player. 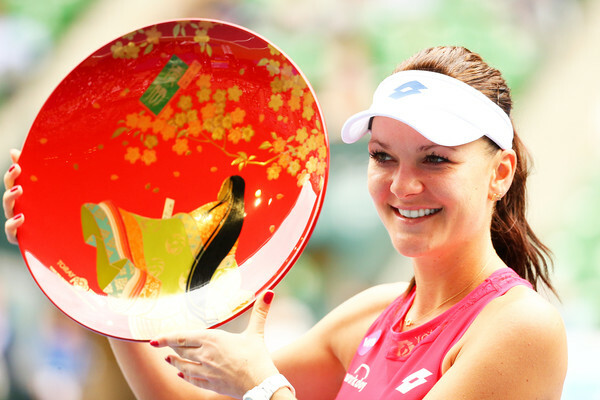 Aga caught fire in the second part of the year, winning in Tianjin and Tokyo while being runner-up in Eastbourne. She topped it all off with the biggest title of her career when she won the 2015 WTA Finals Singles championship. All the while the fans really love Radwanska. She is the 5-time reigning WTA Fan Favorite Singles Player of the Year. She was also voted tops in Favorite Shot of the Year and Favorite Match of the Year for her victory over Garbine Muguruza in a semifinal match at the WTA Finals. Aga is only 26. She has time to fill in the one missing piece on her resume, a Major title. If she continues to play as she did in the second half of 2015, she should have many chances to come. It’s no surprise to see Sun-Ju Ahn, a 3-time JLPGA Money List Winner and 3-time Player of the Year, once again in the mix atop the tour leaders. Although she didn’t reach the absolute peak this year, she still added 2 more titles to her sterling resume, bringing her career JLPGA total to 20. What’s more is that one of those victories was at the Toto Japan Classic, an LPGA and JLPGA co-sponsored event. So now the JLPGA all-time great has her first LPGA title. Sun-Ju was alongside In-Gee Chun and Brooke Henderson as non-member LPGA champions in 2015. With all due respect to other great JLPGA stars, if you look at the last 6 years, with 3 MVPs and 3 Money List titles along with 4th place Money List finishes in each of the other 3 years, Ahn is clearly the greatest JLPGA player over that time period. Bo-Mee Lee might have had a record year this season, but she would need to keep it up for a few more seasons before I ranked her alongside Sun-Ju Ahn. They are both special players. There are rookie campaigns on the LPGA that are just extraodinary. Se Ri Pak in 1998 and Jiyai Shin in 2009 come to mind as players who not only won Rookie of the Year but tied for the most wins on tour that year. Sei-Young Kim didn’t tie for the lead in wins in 2015, but her 3 titles did equal the total Jiyai Shin put up. More importantly, there are certain seasons when the Rookie of the Year will be a player who heads a relatively weaker class. That was certainly not the case for Sei-Young. 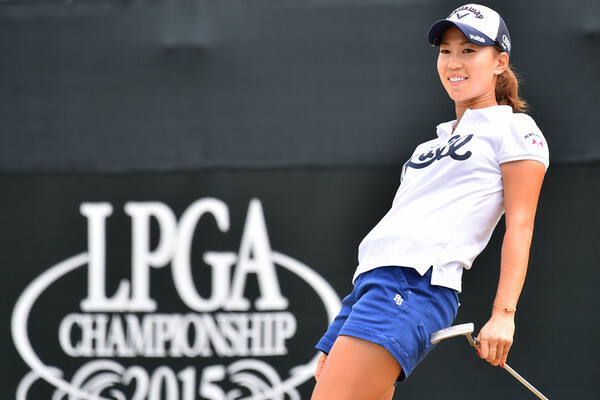 The 2015 rookie class was among the strongest and deepest in LPGA history. And I’m not even counting the sensational non-member In Gee Chun, who will be a rookie in 2016. Not only did Sei-Young win 3 titles, 2 of them were in playoffs. In the second of those playoffs, she stared down all-time LPGA great Inbee Park. Kim, a taekwondo black belt, delivered a blow with perhaps the shot of the year, an eagle on the first hole to end matters. With so much great talent from around the world fighting it out on the LPGA, it would be unfair to expect Sei-Young Kim to repeat or exceed her rookie achievements in her sophomore year. Or would it? From the pictures you posted of Ji-Hee Lee, she wears some interesting tops on the course. In one of the pictures, she is wearing a "Snoopy" tee-shirt (I'm a big Peanuts fan which is why I noticed). in another she is wearing what appears to be a Garfield shirt under her champions jacket, and in a third her shirt looks like it has a necktie painted on it. Does she have a reputation for unconventional outfits on the course? I'll tell you something...I hadn't actually noticed the animated tops Ji-Hee was wearing until you pointed it out. From years of following the JLPGA, I guess I've been a little desensitized to all the colorful and unusual outfits they wear. Certainly, compared to other golf tours, the JLPGA has a quite a handful of players who wear fun, unconventional outfits. Perhaps that tour is more open culturally to taking cutsey outfit to the edge. Kawaii! Last edited by bangkokbobby; 01-02-2016 at 02:05 PM. For the past two years I have counted down the top 30 (2013) and top 25 (2014) players on the WTA and LPGA money lists as my year-end wrap-up. This year I am reducing the list to the top 15. However, I am adding the LPGA of Japan (JLPGA) to the countdown. 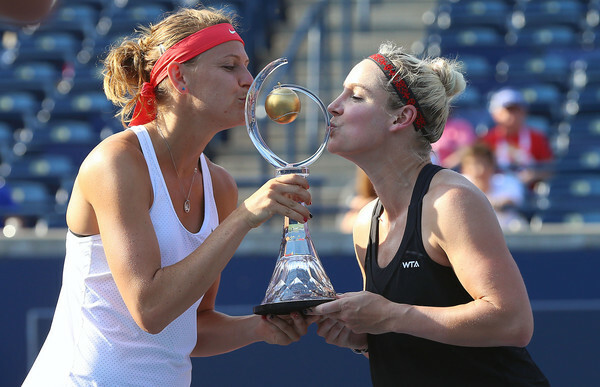 For the WTA, singles, doubles and mixed doubles are added to the total money earnings. For the JLPGA, I will approximate the US Dollar totals based on the day I look up the exchange rate. Here are the #3 players for 2015: Garbine Muguruza (WTA), Jiyai Shin (JLPGA) and Stacy Lewis (LPGA). 687, 432, 249, 104, 64, 21 and 3. That is the progression over the last 7 years of Garbine Muguruza’s rise up the WTA rankings. Of most significance are the last 3 years as a rising top tier player. In my opinion, when considering players under 25 years old who look to be the future of the tour, it comes down to 20-year old Madison Keys and 22-year old Muguruza. And for Gabi, the future is now. I thought she would have a good 2015. I didn’t think she would be runner-up at Wimbledon and finish the year world #3. She is way ahead of schedule. If I had one quibble, it would be for her to reduce or eliminate her doubles play and focus on singles. It’s hard to say that when she and playing partner Carla Suarez Navarro won twice and finished runners-up 3 times in 2015, including the 2015 WTA Finals. But it was those same WTA Finals that have me worried that full-time doubles is too much for Gabi to carry while trying to challenge for #1 in singles. In the semifinals against Agnieszka Radwanska, although it was a terrific match in terms of drama, Muguruza looked absolutely exhausted even before Aga started running her around the court. I think Gabi can and will eventually reach the top of the singles rankings. I just think she would get there faster if she had a little more in the tank late in tournaments so she could win more titles and the increased points that come with them. Wherever Jiyai Shin goes, wins are sure to follow. After making the full-time move to the JLPGA, she won 4 times in 2014 and 3 more times in 2015. The latter season saw The Final Round Queen add her first JLPGA Major to her resume, the JLPGA Tour Championship Ricoh Cup. She now owns Major victories on the KLPGA, LPGA, LET and JLPGA tours. Once again, she was solid in nearly every statistical category on tour. She doesn’t bomb it off the tee, but everything else she does superbly. I am really bummed that Jiyai is on the JLPGA. Sure, I love the Japanese tour. That’s why I cover it so much. 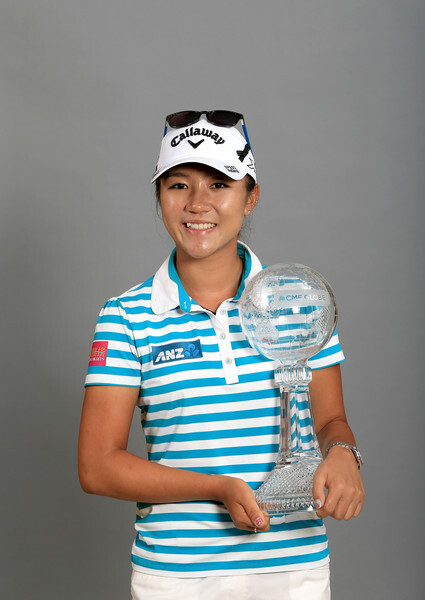 But Shin was building an incredible body of accomplishments on the LPGA, the world’s top tour. In my eyes, and the eyes of others who closely follow women’s golf on the global stage, she is one of the handful of greatest players of her generation. I just wonder and worry that now with Jiyai being successful out of the gaze of the American press that while she will get credit for all she accomplished in the States, she won’t get nearly the praise that her ability and results warrant. That said, wherever she choses to play, my gaze will follow. She is one of the most brilliant players I have seen since becoming a women’s golf fan these past 20 years. Oh boy. I wish I didn’t have to write about what I must write about for Stacy Lewis. First of all, Stacy is an absolute ace. She is, and has been for some time, the greatest America women’s golf player. Others get more hype. She just remains the best. But as wonderful as she is, there is a glaring stat that has to be driving her crazy. Since 2011, Stacy has 11 LPGA victories. Awesome. The problem is she also has 20 2nd place finishes. I point that out as if it’s a bad thing, but when on thinks about it 31 top 2 finishes over 5 years is fantastic. 99% of the tour would take that. However, Stacy is in that 1%…maybe less than 1%…of players vying not only to be the best player from their county but the best in the world. In 2014, with 3 wins and 6 2nds on the LPGA, Stacy was the best. This year, with 0 wins (other than the Solheim Cup team win) and another 6 2nds…she fell out of the top spot. 12 2nds in the last two years. Imagine if one-third of those were wins…if one-half of those were wins. She would probably still be on top of the women’s golf mountain. Still, let me conclude not with what didn’t happen. Let me celebrate the greatness that Stacy did exhibit. The fact that she is a rare and special talent, even when measured against the best in the world. She was an absolute superstar in 2015. It was a joy and pleasure to watch her perform. For the past two years I have counted down the top 30 (2013) and top 25 (2014) players on the WTA and LPGA money lists as my year-end wrap-up. This year I am reducing the list to the top 15. However, I am adding the LPGA of Japan (JLPGA) to the countdown. For the WTA, singles, doubles and mixed doubles are added to the total money earnings. For the JLPGA, I will approximate the US Dollar totals based on the day I look up the exchange rate. Here are the #2 players for 2015: Simona Halep (WTA), Teresa Lu (JLPGA) and Inbee Park (LPGA). 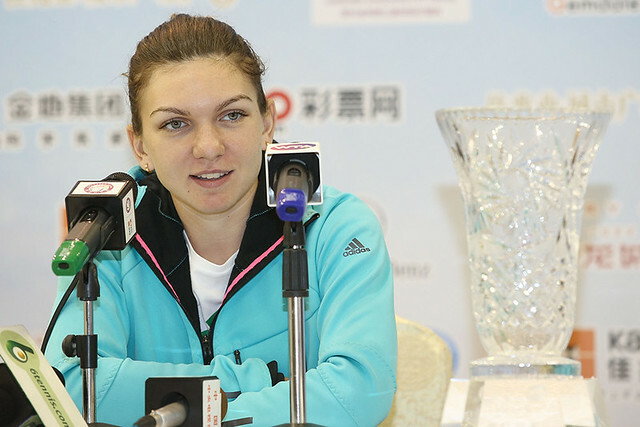 While my favorite player among currently active players is Madison Keys, my favorite player to watch is Simona Halep. In some ways she reminds me of a smaller version of Kim Clijsters in how adept she is at changing ball trajectories during a rally. The Romanian star has my favorite current shot in tennis, her backhand up the line. When she changes direction in a rally and hit that shot cleanly…it’s a thing of beauty. She had another tremendous year on tour, and yet before I sat down to do her recap part of me worried that she had a bit of an off year. But how could that be true when she’s ranked #2 in the world? It’s telling how important the big tournaments are that despite finishing the 2015 season world #2, I assumed that 2014 was a better year for Simona Halep. After all, she was runner-up at the WTA Finals and Roland Garros while making a final, semi and quarter in Majors. She also won twice and was runner-up three times. Ok, maybe Halepeno didn’t quite match her success in big tournaments this past season, but by any measure Simona was again phenomenal. She won 3 times, including her biggest title to date at Indian Wells, an event sometimes labelled a mini-Major. She also took another Tier I championship in Dubai. If there was one tournament that maybe got away, it was the US Open. With Roberta Vinci taking out Serena Williams in one semifinal, had Halep been able to take out Flavia Pennetta she would have been a huge favorite to win her first Major against Vinci. But that didn’t happen. Still, if Simona continues to play the way she has the past few seasons…and there is no reason to believe she won’t for many years to come…that first Major will come. After having a career year in 2014, what could Teresa Lu do to top it in 2015? She played even better. The Taiwanese star added her third Major at the Konica Minolta Cup. Having already won the Ricoh Cup and Japan Women’s Open, Lu needs only the Salonpas Cup to complete the JLPGA Career Grand Slam. In all, she won 5 times in 2015 while setting personal bests in prize money and scoring average. I’d have to check it year by year, but just off the top of my head the year Teresa put together in 2015 might be the greatest in recent memory by anybody who did not win Player of the Year. In the five seasons prior to 2015 (2010 thru 2014), Lu’s 2nd place money list total would have beaten the money list winner in all but one year. And even in that one year, 2014, she would have only narrowly missed matching Sun-Ju Ahn by a little more than 6 million yen. That might sound like a lot but it’s only around $50,000, a slim margin in golf money lists. Depending on the tournament that could be the difference between finishing 5th or 2nd in one event. Oh, and were that not enough she had he best ever result in an LPGA/LET Major, finishing 6th at the Ricoh Women’s British Open. When the Salonpas Cup rolls around in 2016, I know who I will be watching more than any other player. I tried for so long to hold off admitting what is becoming more and more obvious. I am a big fan of South Korean golf pioneer Se Ri Pak. Nobody has done more to change the demographics of his or her tour more than she has. And she set the bar for all Seoul Sisters with her Hall of Fame career. Inbee Park is better than Se Ri. There. I said it. While Se Ri had all-time greats to deal with like Annika Sorenstam and Karrie Webb, an argument can be made that the LPGA is stronger and deeper now than it has ever been. Yet Inbee still is putting up all-time great numbers. She won 5 tournaments including 2 more Majors in 2015, the KPMG Women’s PGA Championship (for the 3rd straight year) and the Ricoh Women’s British Open. That brings her Major total to 7. She finished top 10 in 4 Majors with a T11 in the other, along the way winning the Annika Major Award. Queen Bee also won her 2nd Vare Trophy for lowest scoring average. As I mentioned with Teresa Lu, the year Inbee put together in 2015 might be the greatest in recent LPGA years for a somebody that didn’t win Player of the Year. From 2009 thru 2014, Park’s 2nd place prize money total would have beaten every money list total save for Yani Tseng in 2011. She has yet to reach Se Ri’s overall win total. Maybe Inbee will get there. Maybe she won’t. Regardless, I am already calling her the greatest South Korean golfer of all-time. For the past two years I have counted down the top 30 (2013) and top 25 (2014) players on the WTA and LPGA money lists as my year-end wrap-up. This year I am reducing the list to the top 15. However, I am adding the LPGA of Japan (JLPGA) to the countdown. 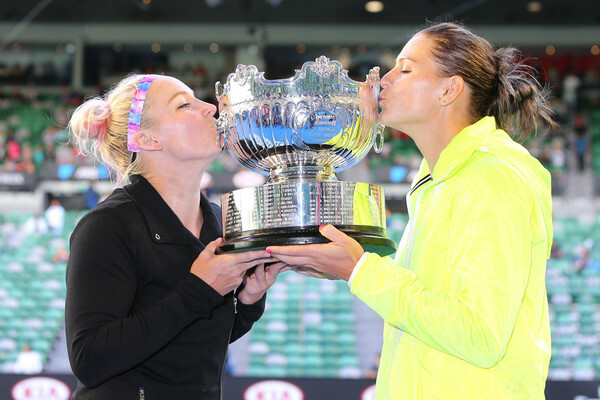 For the WTA, singles, doubles and mixed doubles are added to the total money earnings. For the JLPGA, I will approximate the US Dollar totals based on the day I look up the exchange rate. Here are the #1 players for 2015: Serena Williams (WTA), Bo-Mee Lee (JLPGA) and Lydia Ko (LPGA). Wow. Just, wow. What else is there to even say about Serena Williams? Forget male or female, we have been witness to one of the greatest athletes, regardless of gender, of all-time. Although she came 2 matches shy of the calendar year Grand Slam in 2015, let’s not forget that she won her 2nd Serena Slam, holding all four Majors at the same time when she won Wimbledon 2015, to go along with the Roland Garros 2015, Australian Open 2015 and US Open 2014 trophies she already held. And let’s also remember that she played a select schedule and took the entire fall season off after the US Open or she would have probably won 9 or 10 events. 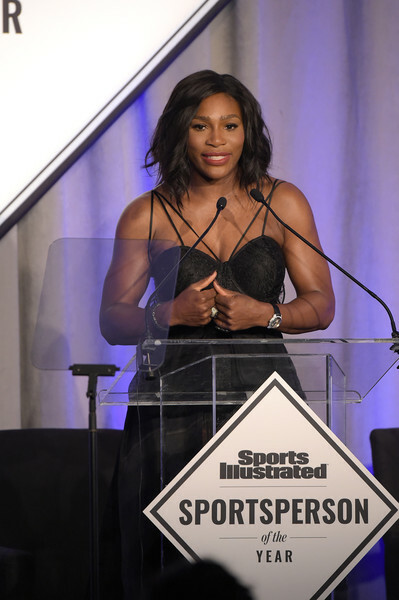 To see Serena honored as the Sports Illustrated Sportsperson of the Year was not just a tremendous honor for her, but such a great honor for tennis. Her importance to the sport I love so much should not be understated or underestimated. She lifts the profile of the sport while simultaneously transcending it. If there is any concern moving forward, it’s only that age and/or injury will eventually catch up with her. If she is fit and healthy, it’s a wrap. She will exceed Steffi Graf and Margaret Court in singles Majors. However, a lingering knee injury at Hopman Cup to start 2016 reminds us that she is human. Eventually, the clock and her body will say no. 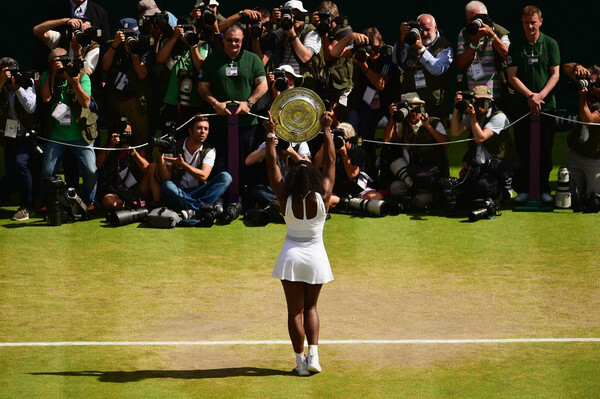 But until then, All Hail Queen Serena! If I told a golf fan there was a player that would lead the tour in greens in regulation and putting average, the response I’d get would probably be along the lines of that player winning a whole lot of money and titles. Well, I present to you the amazing Bo-Mee Lee. She had a record-setting year on the LPGA of Japan (JLPGA). She finished 3rd on the money list in 2014 and 2nd on the money list in 2012. In 2015, Bo-Mee made more than those two years COMBINED. Her scoring average has improved every year on the JLPGA. She won 7 events this past season. The scary thing is…she actually has room to improve. As mind-blowing as her year was, she didn’t win a Major in 2015. Imagine her money list total had that happened even once…or more than once. I also loved that when it appeared that Teresa Lu might be sneaking up on her in the POY race, Bo-Mee just put her foot on the gas and left everybody in the dust with back to back wins down the stretch at Ito En and Daio Paper Elleair. This is as special a player as I’ve ever seen on the JLPGA. I started this post with a legend in her twilight…but still stong…years, Serena Williams. 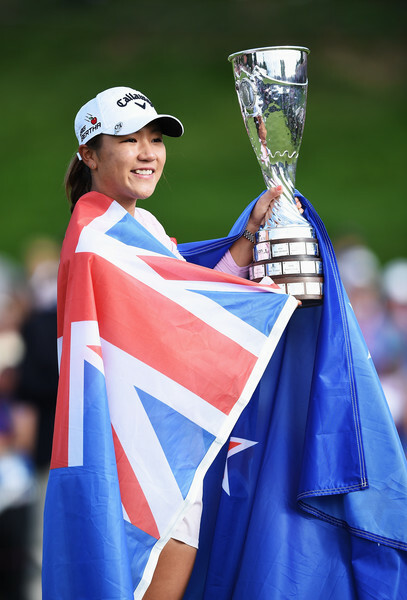 Witness now a legend in the making…in her ascendancy…Lydia Ko. I try to keep these short and sweet so I won’t list all of her “youngest ever” achievements. I just want to sit back and reflect on just how brilliant…how off the chart…this young lady is. But I have to mention a couple of them. The only worry I ever had about her game was breaking through at a Major. That can be checked off now with her win at the Evian Championship. That made her the youngest LPGA Major champion in history. I’d even call her the youngest Major champion, male or female, ever. Yes, I know…young Tom Morris Jr…but with all due respect, that was a completely different kind of contest in terms of participation. With 5 LPGA tournament wins in 2015, she raised her career total to 10. That makes Ko the youngest on the LPGA tour to 10 wins since Nancy Lopez. And consider that Lopez was 22. At 18, Lydia might be in the Hall of Fame by 22 if she keeps up this pace. 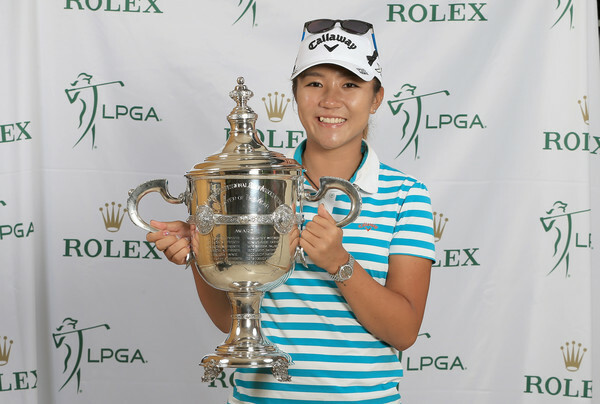 I talked about how Bo-Mee Lee was as special a player as I’ve seen on the JLPGA. I’ve NEVER seen anything like Bo-Gyung (Lydia) Ko at her age. I can’t wait to see how much she continues to rewrite the golf history book.